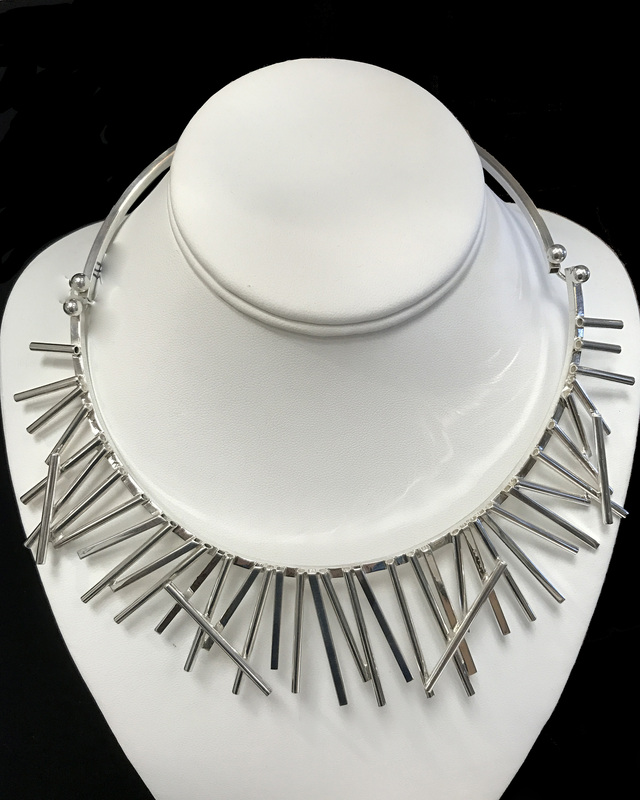 Modernist Jewelry - This is a bold statement sterling silver choker necklace created from different lengths of tubing soldered in a random pattern. This is a wonderful handcrafted collar that is versatile for any lady. It is flashy, yet classic. A Sterling Silver modern choker style necklace. This is a twist to a classic style and can be specially ordered to fit anyone.